You know a Nine Years Theatre production when you see one. There’s the smell of precision about it, from the calibrated ensemble to the period-perfect set pieces. Every single performer seems to be breathing in and out in perfect sync. The language is exact, the direction exacting. The company has made significant strides since it stormed onto the Singapore stage with its debut production of Edward Albee’s Who’s Afraid of Virginia Woolf? at the 2012 edition of Esplanade’s Huayi – Chinese Festival of Arts. The Chinese-language translation of the American classic was the company’s first provocation: What does it mean to take a location- and period-specific play and not only translate it, but situate it in a different cultural context? The company’s artistic director Nelson Chia has never intended for these cultural relocations to be smooth or seamless. He is interested in the frictions they produce and the new forms they create. Under his tenure, Nine Years Theatre has become synonymous with these cultural and linguistic experiments, but also for its focus on actor training and what it means to build a disciplined ensemble of performers with a shared theatrical and physical vocabulary. Read Corrie Tan’s complete profile of Nine Years Theatre’s Nelson Chia here. 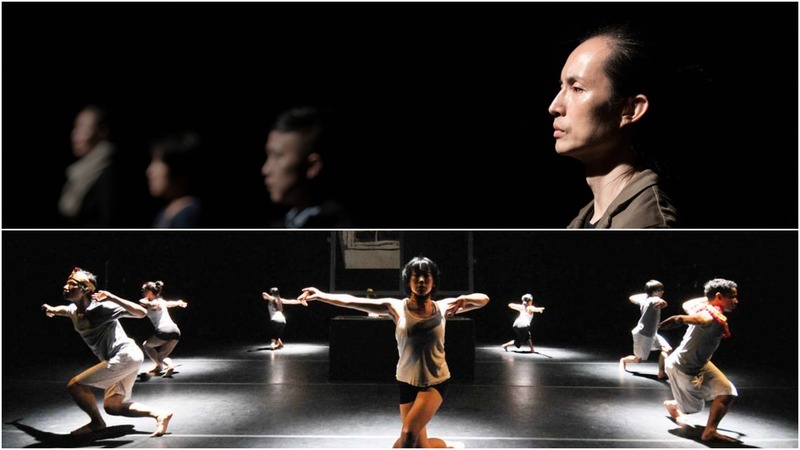 If you were to bump into Kuik Swee Boon at the theatre, you might not recognise him as the force behind The Human Expression (T.H.E) Dance Company, a company known for raising the standard of technical rigour in contemporary dance in Singapore. It is one of the few dance companies to have achieved Singapore’s Major Company status and is responsible for the M1 CONTACT Contemporary Dance Festival started in 2010. From the moment of its debut performance, T.H.E experienced a meteoric rise in popularity and recognition in Singapore and internationally, yet Kuik appears a laid-back figure with an unruly mop of hair, dressed in a T-shirt, bermuda shorts and slippers. This belies the steely determination that refuses to let up, the attention to detail and control that is characteristic of him as Artistic Director and principal choreographer of T.H.E. But Kuik was not always associated with the contemporary dance scene in Singapore; in fact, he rose to prominence as a principal dancer of Singapore Dance Theatre (SDT). Kuik’s first dance foray was in Chinese and modern dance at 15 years old, on an ad-hoc basis with his secondary school in the town of Batu Pahat in Johor, Malaysia. When he was 17, he heard from a teacher that the People’s Association (PA) in Singapore was looking for dancers. Even though he knew nothing about PA, fired by his desire to keep dancing, he and a few friends (including his future wife Silvia Yong) crossed the border and arrived in Singapore to audition. Up until this point, Kuik had minimal formal ballet training, but the audition was a ballet class, so all he could do was copy the person standing in front of him. With this audition in 1990, Kuik was accepted into the People’s Association Dance Company and relocated to Singapore to fulfill his desire of dancing daily for a living. Read Melissa Quek’s complete profile of T.H.E’s Kuik Swee Boon here.